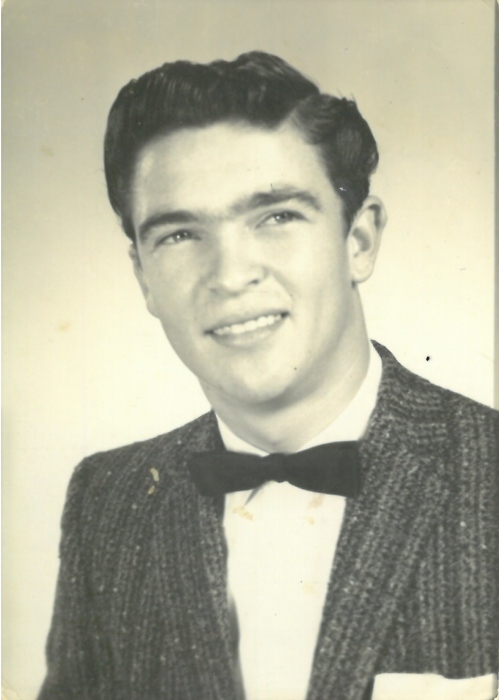 John Tom Adair passed away January 27, 2019 in Mesquite, Texas. He was born July 27, 1942 in Florence Hill (Dallas County), Texas to D. L. and Mona Lee (Davis) Adair. He was 76 years of age. John enjoyed a full life. Not only did he have a large family, but he enjoyed a long career as an electrician. He joined the IBEW apprenticeship in 1968 and turned out in 1972. He spent most of his working life traveling around the United States working on a wide variety of jobs including things such as multi-story high-rise buildings, shopping malls, papermill plant, microchip plants, steel plants, automobile manufacturing plants, and nuclear power houses. These are just a few of the many jobs that he worked on throughout his 50 year career as a Journeyman Inside Wireman. He worked on so many jobs in so many states across this country, you could safely say that he literally help build the United States of America as we know it today. Outside of work, he was an outdoorsman who enjoyed hunting, fishing, camping, and riding motorcycles. He loved going to his farm and seeing the pine trees. He just liked to stay busy. John loved a good cup of coffee and would invite anyone he knew to breakfast or lunch. He loved having parties or, as he would call it, having a "shindig" with his family. He enjoyed playing with his 11 grandchildren and making sure they had plenty of "toys". He felt blessed to be able to spend time with his great grandbabies, as well. He felt especially blessed to be able to deliver chocolate milk and cookies to his great grandbabies and to take his granchildren and great grandbabies to Dairy Queen after lunch. John was preceded in death by his parents, D.L. and Mona Lee Adair; his wife, Virginia Cantrell Adair; a daughter, Mona Adair Stewart Bosh; brother, Don Adair; and sister, Ruthann Pearce. He leaves behind to cherish his memory his memory two devoted sons, John Adair, Jr. and Monte Adair and wife Christi; a beautiful daughter, Zondua Goss and husband Bill; grandchildren, Heather Singleton and husband Travis, Karen Sheppard and husband Bennett, Tashia Parker and husband Brian, Kacey Goss, M.J. Adair and wife Ellen, Chelsy Brock and husband Casey, Kevin Bosh, Rusty Adair and wife Shannon, Billy Goss, Justin Adair, Zackary Adair, Ariel Young, and Logan Young; great-grandchildren, Emilie Hagestad, Landen Rosales, Bradley Willingham, Riley Brock, Sadie Brock, Haylee Parker, Tristane Parker, Darcie Adair, Rusty Adair, Jr., and Addix Adair; two dear sisters, Mabel Vestal and Doris Pinion; many other extended family and friends. A service for John will take place at 2:00 pm, Thursday, January 31, 2019 in the chapel at Laurel Oaks Funeral Home located at 12649 Lake June Road, Mesquite, Texas 75180. Pastor Archie Engledow will officiate. Following the service, there will be a short procession to Laurel Oaks Memorial Park where John will be laid to rest beside his wife in Sunrise Gardens. Grandsons, Justin Adair, M. J. Adair, Rusty Adair, Zackary Adair, Kevin Bosh, and Billy A. Goss will serve as pallbearers. The family will receive friends at Laurel Oaks Funeral Home from 6:00 to 8:00 pm, Wednesday, January 30, 2019. Laurel Oaks Funeral Home is in charge of the arrangements and can be reached at 972-288-4663.